A Virginia man died in an early-morning motorcycle crash in Alexandria on Friday. The victim has been identified as 34-year-old Victor Fugitt of Haymarket, Alexandria Police said. Fugitt crashed in the 4300 block of King Street about 2:30 a.m. According to an initial investigation, he struck a light pole, police said. Fugitt died at the scene. A stretch of King Street and some I-395 ramps were closed after the crash. Police are continuing to investigate. 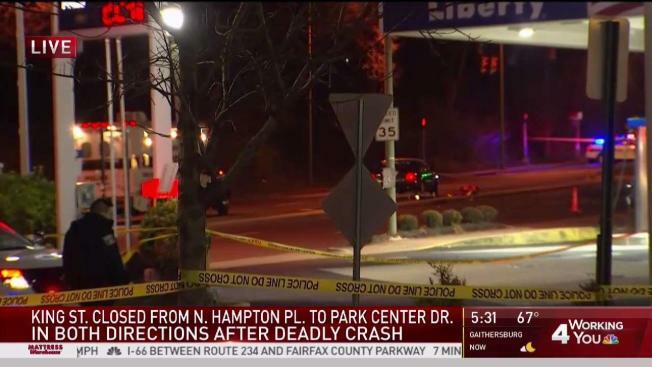 Authorities are asking anyone who may have witnessed the crash to call Detective Loren King at 703-746-6689.